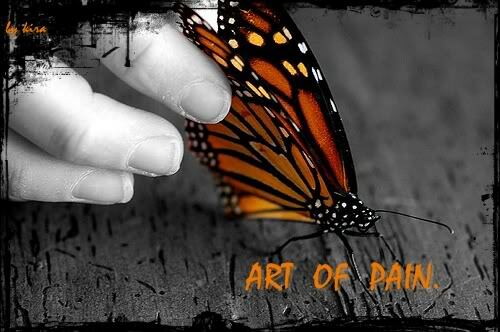 Welcome to Art Of Pain, a forum for all JRock lovers! AYABIE was formed in the spring of 2004, made up of mostly ex-Hinawana members; Ryohei and Takehito on guitar and Intetsu on bass. Vocalist Aoi was the only one not from this former band, instead having left MASK. They began without a drummer and continued to use support drummers until 2005. The group held their first concert, an one-man, at the Takadanobaba AREA on May 8th. The concert was free and they sold the maxi-single, Kagen no sakura, ame, at this show only and released another single, Romancer, limited to 1000 copies. 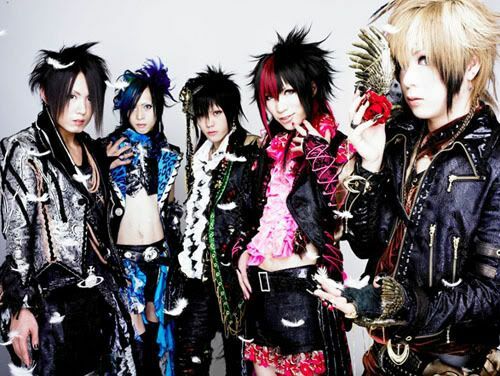 ayabie seemed unstoppable right from the start as they immediately launched into touring, including a short joint tour with alice nine. Their next maxi-single, Chousoi sou yori san rin, made it into the 10 top of the Oricon Indies chart and this accomplishment was soon followed by Gothic Party breaking into the Oricon Major charts top 100. ayabie ended their first year together with a performance in the Takedanobaba AREA and the Yokohama aka renga souko on December 31st. After such an eventful first year, one would expect most bands to slow down and take a bit of a breather but this group of four did no such thing. ayabie released a mini-album in January, followed by a maxi-single in February, and then their first full album in March. The band launched into a new tour and on April 1st, they held a sold-out one-man live at Shibuya O-East. They released a single that same month and instead of resting after their blitz of releases and tours, ayabie announced that they would be releasing a new single on the 10th of each month over the summer. In October, they released their second mini album, EquAL pRayer 2 aLL and began another tour, EquAL pRayer 2 U. However, their biggest news perhaps, came at the start of that month as after of having nothing but support drummers, ayabie announced that Kenzo would be joining them as their official drummer and fifth member. 2006 promised to be another eventful year for ayabie; an official fanclub was opened and they immediately kicked off the year with a two new singles. In April they announced that they would be making their first overseas appearance in Finland, followed by lives in France and Germany, in June. They were well-recieved by their international fans (their Finnish concert sold-out) and seemed to enjoy themselves as well. The band then returned to Japan and resumed their usual insane pace, releasing FAINT/Topaz at the end of June. When July came, however, it brought a shock to ayabie's fans; guitarist and band leader Ryohei announced he would be leaving ayabie. Despite that news hanging over the band, they released their third mini-album at the end of July and went on another tour which would be their final with Ryohei as a member. His last live with the group was at the Shibuya AX on August 30th. Ryohei went on to form a new band, and after falling briefly quiet for a time (the first time seemingly since the start of the band), ayabie announced to the delight of their fans that they would be releasing a new single and new full-length album in November as well as a new tour taking them all over Japan titled Virgin Snow Color. Also in November, Yumehito (ex Soroban) who had initially played as a support guitarist after Ryohei's leave, was made the fifth member of ayabie. ayabie continues to show no sign of slowing down. They distributed numerous singles during their Virgin Snow Color tour and even went overseas once more in May 2007. They have continued to tour all throughout the year and recently released their newest mini-album, Rikkaboshi. Yeah... and when he scream is so impresionant.... i love his voice he can be sweet, ruder, fast, misterious, etc... to the same time he is impresionant!!!! and awesome!!! Ayabie!!! Aaaaaaa! love love love! The first song I have ever heared is Japanese lo-rez Caramel Town! I couldn't stop to listen to that song!!! Jump to: Select a forum||--General| |--Rules&Suggestions| |--Members| |--For Guests!| |--Random JRock talk| |--All Japanese things| |--Word Based Games&Spam| |--Major Artists| |--Alice Nine (アリス九號)| |--D'espairs Ray| |--Dir en Grey| |--Gackt| |--Hyde| |--Kagrra,| |--Kra| |--L'arc en Ciel| |--Luna Sea| |--Merry (メリー )| |--Miyavi (雅)| |--MUCC (ムック)| |--Nightmare (ナイトメア)(Naitomea)| |--Rentrer en Soi| |--the GazettE| |--Other major artists| |--Indie(Independent) Artists| |--12012(Ichi Ni Zero Ichi Ni)| |--Antic Cafe (アンティック-珈琲店-)| |--Ayabie (彩冷える)| |--D| |--Dio (Distraught Overlord)| |--Girugamesh (ギルガメッシュ)| |--Lolita23Q (少女-ロリヰタ-23区)| |--Lovely Mocochang| |--Sadie (サディ)| |--Screw| |--Sid (シド)| |--SuG ~ Heavy Positive Rock| |--Vidoll (ヴィドール)| |--Other Indie Artists| |--Forum |--Disbanded bands |--Fanfictions |--Fanart |--Icons,banners and wallpapers |--Fake JRock Family! !